If you want a cool figurine of a superhero then come see this Wonder Woman Figurine. This Wonder Woman figure is made by Banpresto in their Q Posket series. 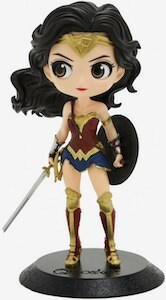 Wonder Woman is about 5 1/2 inch tall and she stands tall on her black base and as you can see she is ready for action wearing her superhero outfit and holding her shield and sword. And Wonder Woman has amazing details like just look at her hair that seems to be flying in the wind and then there are some amazing big eyes on this superhero. Now you can have this amazing figurine of Wonder Woman as part of your superhero collection. Now Harry Potter fans can get this amazing looking Hermione Figurine. This figurine is made by Banpresto in their Q Posket series. The figuring of Hermione is 6 inches tall and comes with a base so that she can stand around in your home. As you can see Hermione looks amazing as a figurine she has nice big eyes that really look amazing on her and then there are lots of details in her hair and all over. 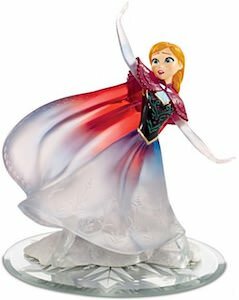 This figure shows her in her Hogwarts school uniform and it looks like she is running in between classes as her robe is swinging behind her. Now Game of Thrones fans can have their own Tyrion Lannister Figurine. This Game of Thrones figurine is made from plastic and is 5 3/4 inches tall and really looks like Tyrion Lannister. Tyrion Lannister is not the tallest guy out there but this figurine shows that he doesn’t look to bad at all at his tiny size. The details of the Game of Thrones figurine are pretty cool and you can see that already on the picture how good his clothes and even his beard looks. 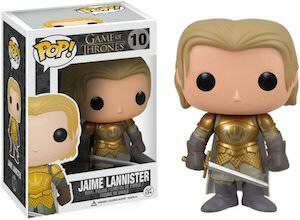 If you like to collect Game of Thrones figures then this one of Tyrion Lannister should now be missing. Harry Potter can now own this amazing looking Hagrid And Harry On A Motorbike Figurine. This figurine looks like it just came out of the stories. The Harry Potter figurine is made from PVC plastic and is 7 inches long and 6 inches tall and has a nice round base. 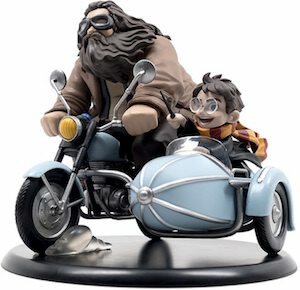 The figurine shows the motorbike with Hagrid driving the bike while Harry Potter sitting inside the sidecar. A cool figurine like this is a must have for all the true Harry Potter collectors and make for an amazing piece for in the home of every Harry Potter fan. Buffy The Vampire Slayer fans can now own a Buffy Figurine. 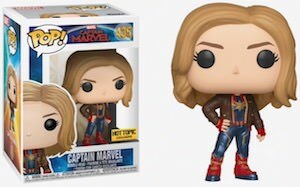 Now there is a vinyl figurine for all the Buffy fans ages 5 and up and she looks like she is ready for business with a stern look and a wooden stake to use on the vampires. Buffy is wearing red pants with a black shirt and black boots all looking really good on her. The Buffy The Vampire Slayer figurine stands 5 inches tall and comes in a really nice box that has a see through front so that you can keep her in it if you like to keep it look new for a long time but I would take her out and put her on a nice shelf in your home.